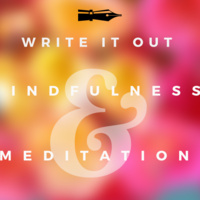 Join poet and educator Evolve Benton for Write it Out and Mindfulness Meditation. We will take a moment to go within and show gratitude. Once we take some quiet time we will engage with a writing prompt and enjoy lunch provided by the UCSF Multicultural Resource Center! This event is open to students, staff, faculty and UCSF community members.